As America’s Workforce Development Capital, Marion has a number of innovative programs designed to prepare and produce skilled workers for the jobs of today and tomorrow. 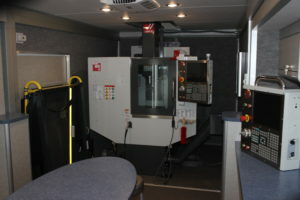 One of these programs is the Marion Technical College (MTC) Mobile Training Lab. 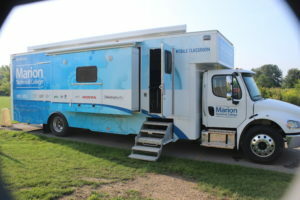 Launched in January 2018, the 40-foot mobile classroom was designed to bring on-site training to company locations, minimizing production interruptions and training costs. The lab can train up to nine students at a time and MTC tailors training to a company’s specifications. Inside the lab, students have access to customized resources, computer stations and the opportunity to operate production-level equipment. Companies interested in workforce training can contact MTC and provide information about their desired curriculum. The college can also administer a skills test to employees to better understand potential training needs. MTC uses this information to propose customized on- or off-site training that can last anywhere from one hour to more than 100 hours. Funded through local, state and private grants, the $500,000 lab was made possible through partnerships with the Ohio Department of Education, JobsOhio, Honda, RobotWorx, Columbus 2020, the Union County – Marysville Economic Development Partnership, Cardington Yutaka and other manufacturers. 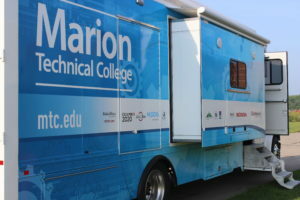 In addition to the mobile training lab, MTC offers Marion a variety of other workforce development programs. Since opening in 1971, the college has provided more than 50,000 students with the skills, certifications and degrees they needed to pursue professional opportunities. MTC’s workforce solutions department also works hard to connect local employers with qualified workers year-round. 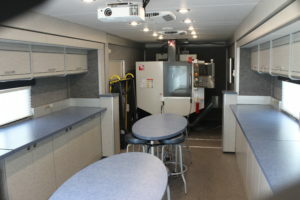 To learn more about MTC’s Mobile Training Lab and workforce solutions, visit MTC.edu/workforce.